20 December 2018, at 12:00a.m. With doubts still lingering over what kind of a Brexit the UK is will be presented with, there are particular concerns in the sector over labour and trade. Around 60 percent of the workforce in the sector is not from the UK, so any block to access to labour from outside the UK will have repercussions for the poultry industry. There are also concerns that any restrictions on trade, including blocks on access to the European market, will also have severe repercussions for the UK industry. The British Poultry Council, in its recent Vision 2019 strategy, said that if trade is affected then the value of exports will have a direct effect on prices in the UK. For the egg sector, the effect is expected to be less significant, as the industry is largely self-sufficient with only a small amount of imports in the form of liquid eggs and egg powder from the EU. Stuart Agnew, category and marketing director at the UK-based Noble Foods, one of the leading egg producers in the country, says, “The UK egg market is 86 percent self-sufficient with the remaining 14 percent being imported mainly as egg products from the continent. However, Mr Agnew adds that the prospect of a no deal Brexit was not as alarming to the UK egg market as it might first seem. “From a UK egg market perspective, a no-deal Brexit has the potential to allow the market to become even more self-sufficient, by expanding production to fill any potential gaps left by continental imports,” he adds. “This is particularly relevant to imports of egg products by manufacturers and foodservice operators who are becoming increasingly concerned by recent serious quality issues, the continuing exchange rate risk and potential delays at the ports, as well as recognising the benefits of Lion Quality products supplied by British farmers and processors. Mr Agnew continues, “The potential key risk to the industry centres on both the implementation of tariffs and further currency devaluation in a no-deal scenario. 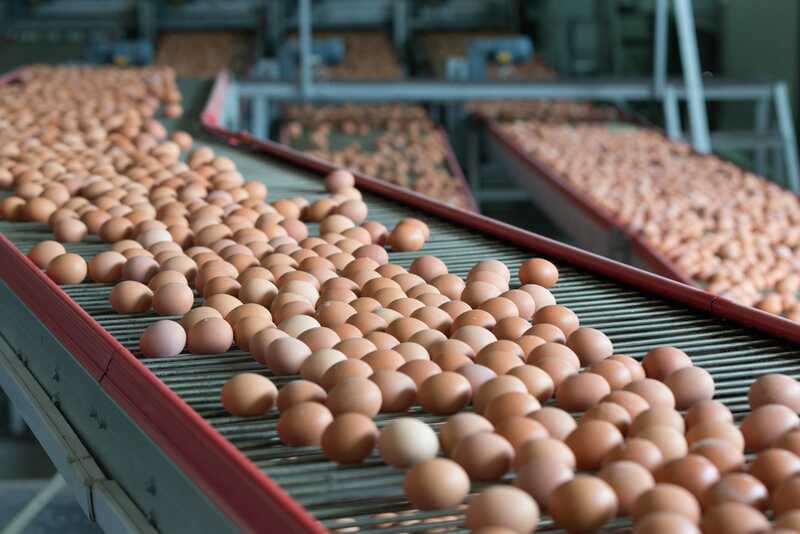 “Currency devaluation will likely have an impact on feed and packaging costs whilst tariffs will add further cost and complexity on any imports used during the production, processing or packing of eggs. Mr Agnew says that the UK shell egg market is in a period of sustained growth at present, both in volume and value terms. “The market is in a very strong position – 96 percent of UK households buy eggs, in larger pack sizes more often, and are willing to pay a higher price per egg as a result of sales transferring from intensive to higher welfare products,” he adds. “The steady switch by consumers from more intensive caged and barn products into higher welfare, free range, speciality and organic products also continues. He adds that the market must act responsibly to see that a balance between supply and demand is maintained for the sector to succeed and remain sustainable. The concerns voiced by the shell egg sector over potential disruption to the market caused by currency devaluation, tariffs and costs, when the UK leaves the EU, are shared by the poultry meat and processing sector, which sees more than a billion birds reared for meat every year. However, as there is also a large degree of self-sufficiency in the chicken meat market in the UK there is not a reliance on imports as with other food categories and strong growth in the market means the sector is well placed to meet the challenges of the coming year. Jason Winstanley, Head of Research and Insight, Moy Park says, “The poultry industry has had a strong year, with UK production running at +4.2 percent for the year to date (DEFRA, YTD to October), and retail sales volumes of over five percent (source: Kantar Worldpanel, 52 weeks to 2 December 2018), meaning that it has performed more strongly this year than other red and white meats. 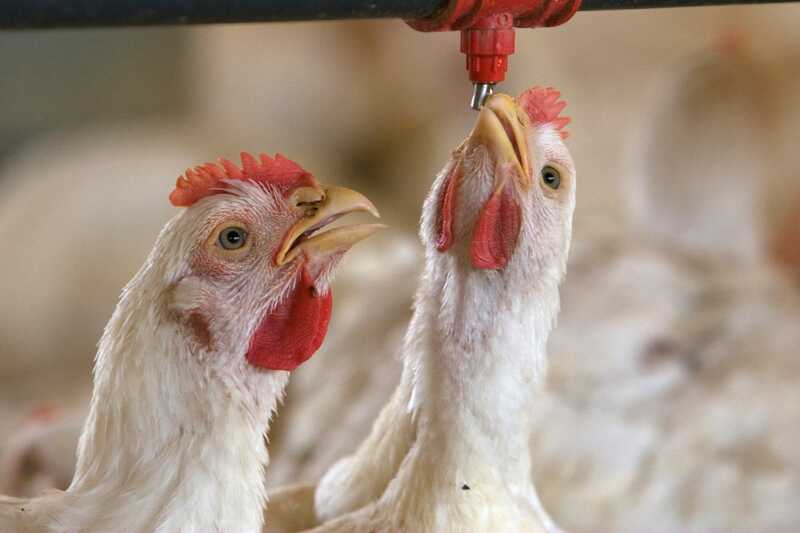 “Consumers continue to choose chicken for its health benefits and versatility as well as its advantaged price position when compared to other proteins, and we expect that to continue to be the case in 2019. “With Brexit looming, this is an uncertain time for consumers, so the value which chicken can offer will be more important than ever. “The structure of the UK market places it in a strong position with almost all of the fresh market, and significant amounts of the prepared chicken sector, already farmed and produced in the UK. Mr Winstanley adds, “Going forwards, Moy Park will continue to innovate and further develop the added value areas of the market. At the launch of the British Poultry Council’s recent Vision 2019 strategy document, the chairman John Reed said, “With the economic and social pressures being created by Brexit, access to food will become one of our nation’s biggest challenges. The BPC says that British poultry meat farmers and producers are calling on the Government to ensure that British food, and the quality it represents, stays affordable and available for all consumers at every price point. Mr Reed continued, “Whilst we must ensure that we have access to the labour we need – and frictionless trade – we want to explore the role of responsible businesses in food security. “On one hand we are among the most affordable nations in the world for food, and on the other we have seen a year-on-year increase in the use of foodbanks. British food must be at the forefront of fixing that dichotomy.